Energy Transfer Solutions is a qualified provider of all HVAC services covering diagnostics, repairs, maintenance, replacements and start-ups. Our service department is experienced in working on all makes and models of HVAC equipment, no matter the manufacturer of the equipment. 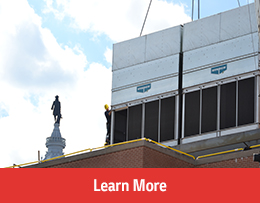 From free cooling tower inspections, to VRF system start-ups, to boiler service and repairs, the Service Department at Energy Transfer Solutions is prepared for it all. For general service needs, or emergency service, call 610-444-0333 for prompt service. Maintenance contracts for your HVAC equipment can ensure your equipment runs with optimum performance. Routine maintenance can reduce operating costs, eliminate unscheduled equipment down time, and protect you from costly and aggrevating emergency repairs. The Energy Transfer Solutions service team is made up of factory trained technicians, who perform parts and labor warranty work on ETS represented equipment. With direct factory contacts, ETS technicians are able to expeditiously diagnose and repair equipment. 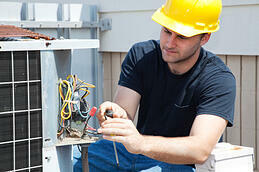 For companies not specializing in HVAC service, ETS can provide technicians to provide warranty service as needed. Energy Transfer Solutions is a certified Honeywell Automation & Controls Solutions (ACS) provider. The ETS controls department engineers and designs complete Building Automation Systems. Additionally, ETS provides Tek-Air laboratory and fume hood controls and Accutrol airflow technologies for critical environment airflow control.